Bulgari breaks the rules of jewellery design once again with the new B.zero1 Labyrinth, a ring created by Bulgari in collaboration with star architect Zaha Hadid. The design itself is a declaration of the power of self-expression; the captivating curves of the spiral in rose and white gold express an innate ability to break free from conventions. Inspired by Romes historic Colosseum, Emperor Vespasians architectural statement of power, B.zero1 has been designed to become an expression of strength and character. With the bold vision of an emperor at its core, B.zero1s unique design aims to empower women through a jewel that is both unconventional and chic. When B.zero1 was created in 1999, it pushed the boundaries of shape and form, with its unique, three-dimensional, almost architectural look. Featuring a broad central band encircled by two flat rings engraved with the Bulgari double-logo, this creation was an instantly iconic design. With its striking appearance, its versatility is also key – it can be worn on any finger, stacked one above the other, or worn on a chain or a bracelet and is truly unisex piece of jewellery. The latest interpretation of the B.zero1, designed by architecture legend Zaha Hadid, infuses Bulgaris classic Italian styling with Hadids design genius. She has added her signature curves to the wave-like shape of the ring, creating a feeling of movement reminiscent of Hadids architectural masterpieces. 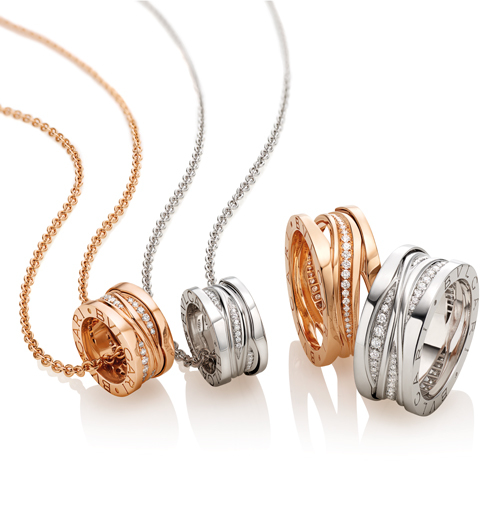 This latest collection is enriched with four new additions: a bold, four-band ring in white and rose gold – also available in an even more precious version with pavé diamonds – and two pendants with miniaturised rings. It also introduces two bracelets with an edgy pendant available in black or white ceramic, and hoop earrings intertwined with the iconic spiral in rose gold. 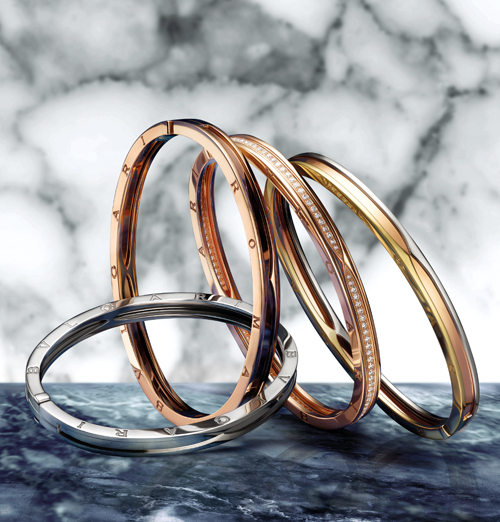 Discover the collection at www.bulgari.com. The post An icon to express unconventionality appeared first on JFW MAGAZINE.